Hermetic-Pumpen GmbH, located in the German Black Forest town of Gundelfingen near Freiburg, was recognised with the “Russian oil and gas industries’ best centrifugal-pump manufacturer for 2013” award during the NefteGasPererabotka conference for Russian refineries. The award was presented recently in Moscow and is the result of an independent survey involving 60 Russian refineries. 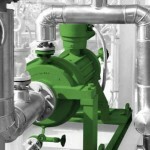 The requirements for pumps used in refineries are high: Toxic or hazardous media are frequently conveyed. The slightest spark could have catastrophic consequences. As a result, the highest demands on safety apply in this sector, these being formulated as standards and regulations. With the API (American Petroleum Institute) standards, for instance, requirements for leakproof (hermetically-sealed) pumps, such as canned motor pumps, are precisely set out (API 685 standard). The standard of quality, safety and on-site customer support of Hermetic has now been recognised with an award by Russian refineries. Hermetic canned motor pumps are designed for extreme conditions. The technology involved offers reliable safety against all types of leakage of the liquids being conveyed. This technology has become increasingly popular in refineries worldwide, as a second hermetically-sealed containment shell offers reliable protection against any leakage of the pumps. 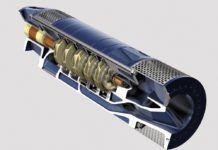 Also, the canned motor design (which has been well-established for decades) completely avoids the need for shaft seals, conventional bearings and couplings. The result is: a high level of operation reliability, hardly any wear and, consequently, a high MTBR (“Mean Time Between Repairs”) value. 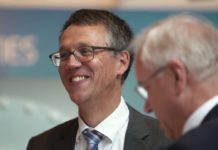 Hermetic has for decades been supplying renowned refineries in Germany and overseas with pumps from the CNP (single-stage hydraulics, according to API 610) and CAM (multi-stage hydraulics) series. Russia, with its huge fossil fuel resources, is, in particular, a large, but at the same time demanding, market. Special certifications (e.g. GOST R, Gospromnadzor, TR, Rostechnadzor, etc.) apply. In addition, extreme conditions, with outdoor temperatures as low as minus 60 degrees Celsius and operating temperatures in excess of 300 degrees Celsius, have to be reliably catered for. 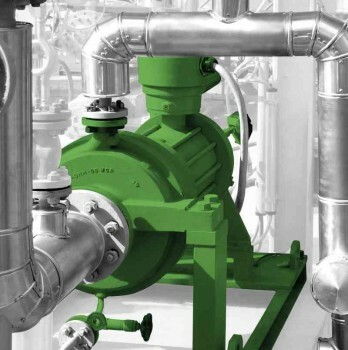 When conventional technologies reach their limits, HERMETIC pumps are always brought into action. High system pressures, large temperature fluctuations, media that is extremely difficult to convey – HERMETIC pumps have been developed precisely for such demanding conditions.